To support its transport planning function and further development of the transport models, the NTA collects and collates a wide range of data types. 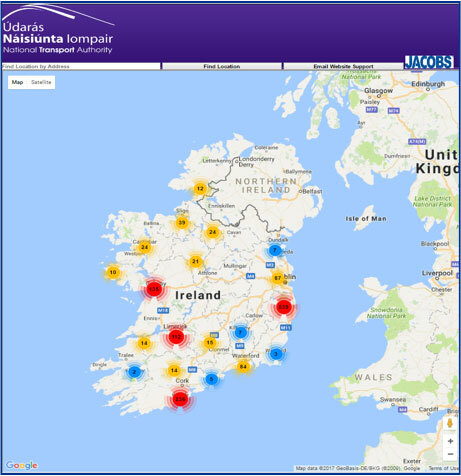 The RMS was developed using a wide range of data sources to ensure that it provides the best possible representation of travel demand and patterns throughout Ireland. Estimates of public transport occupancy, and number of people walking and cycling. For Data Requests, please contact counts@nationaltransport.ie. The National Traffic Count Database (NTCD) is a web based, GIS-enabled repository for traffic data. The NTA has developed a number of guidelines and templates for the collection of traffic data in Ireland. The collection of data in a streamlined method will allow for seamless integration into the NTA’s National Traffic Count Database. The guidelines and specifications for data collection and formatting can be accessed by emailing counts@nationaltransport.ie.